When I was younger my dad had a “trusted” jeweler he would take his jewelry to. 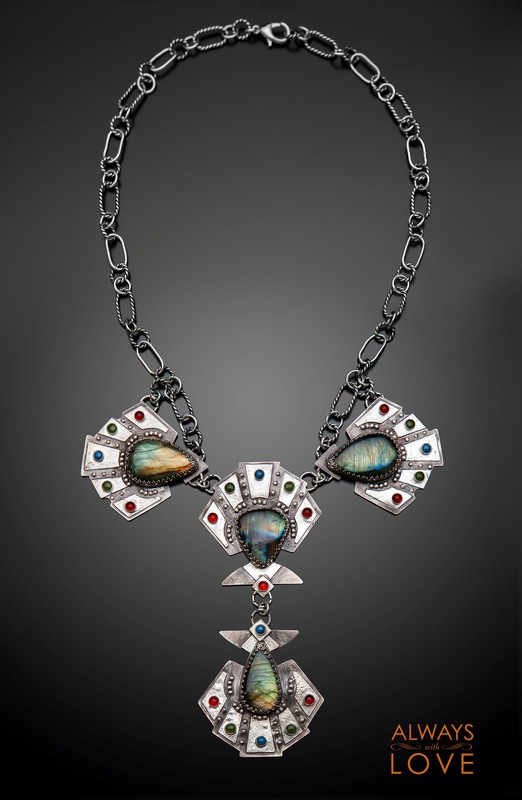 My dad would design a piece and the jeweler would create it and charge a lot of money for it. Little did he know, what he thought was a 24K gold ring he had just purchased, ended up being one of a lesser quality, like (gasp) 14k. We found out about this fraud almost 20 years after the fact when I decided to test the item’s metal purity in my jewelry technician class. Since then, laws regarding jewelry have changed in order to protect consumers and prevent events like this from happening again. Today, it is illegal in the USA and Europe to sell jewelry that has been stamped incorrectly or not at all. There are still unscrupulous people out there breaking the law so be sure to buy from a reputable source (like me) and check your jewelry before purchasing. Always With Love jewelry comes with two stamps. The first one is the Quality Mark. The quality mark will show you what metal content is found in the jewelry. If it is a Sterling Silver article, you will see the marks “sterling” or “925”. If you buy an Argentium Silver article it will be stamped with the Argentium silver logo, a flying unicorn. Gold jewelry is marked depending on its purity: 24K, 18K, or 14K. The second stamp I use is the Maker’s Mark. 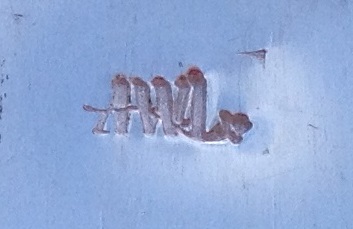 The Maker’s Mark identifies the designer of the article and is stamped next to the quality mark. In this case you will see a stamp with the initials “AWL” which stands for Always With Love and my name Adriana Wiesner Lyden. It is normally stamped on the back of the piece, or inside a ring shank where its less visible. I strive to be a better jeweler every day, and if helping you be informed helps me, I think I’m on the right path.